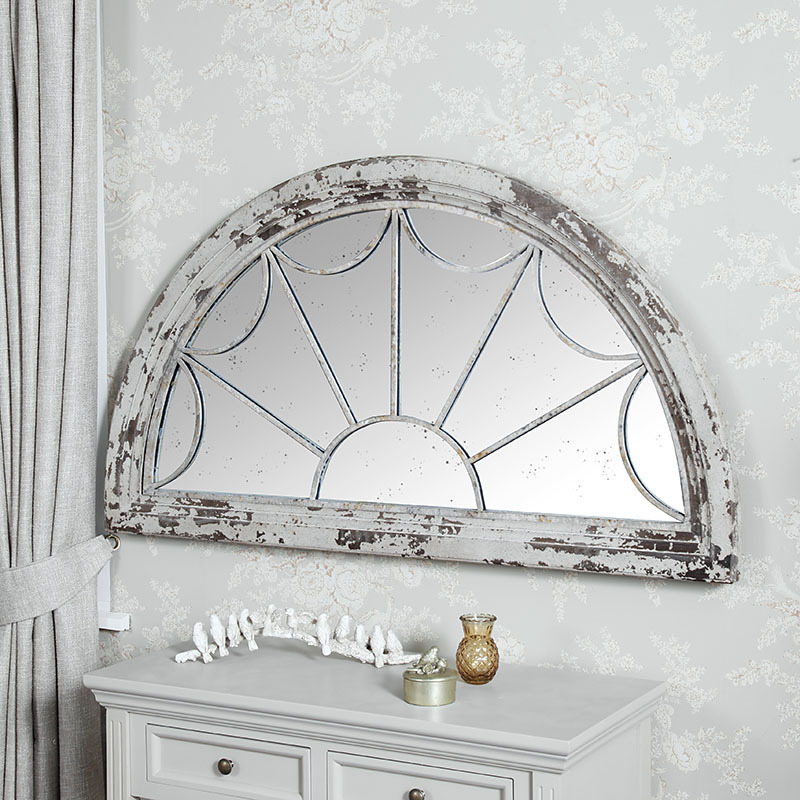 This large wall mounted fan mirror is perfect for hanging above the mantel in the living room to give a feeling of light and space. 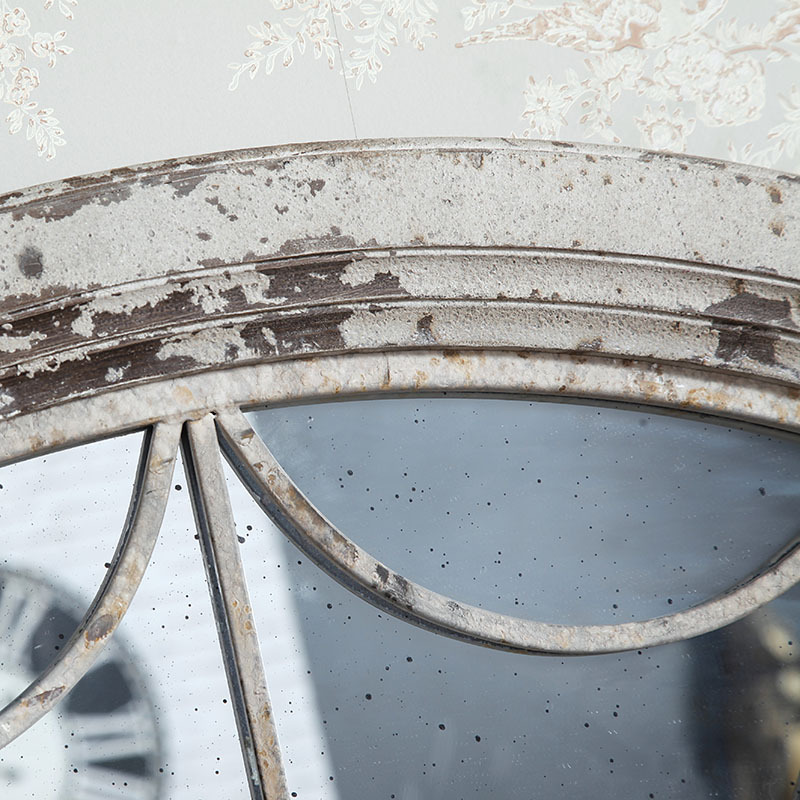 Perfect to use a hall way mirror and with its heavily distressed, aged look and foxed glass the mirror would complement any interior whether your decor is industrial and rustic or french chic. 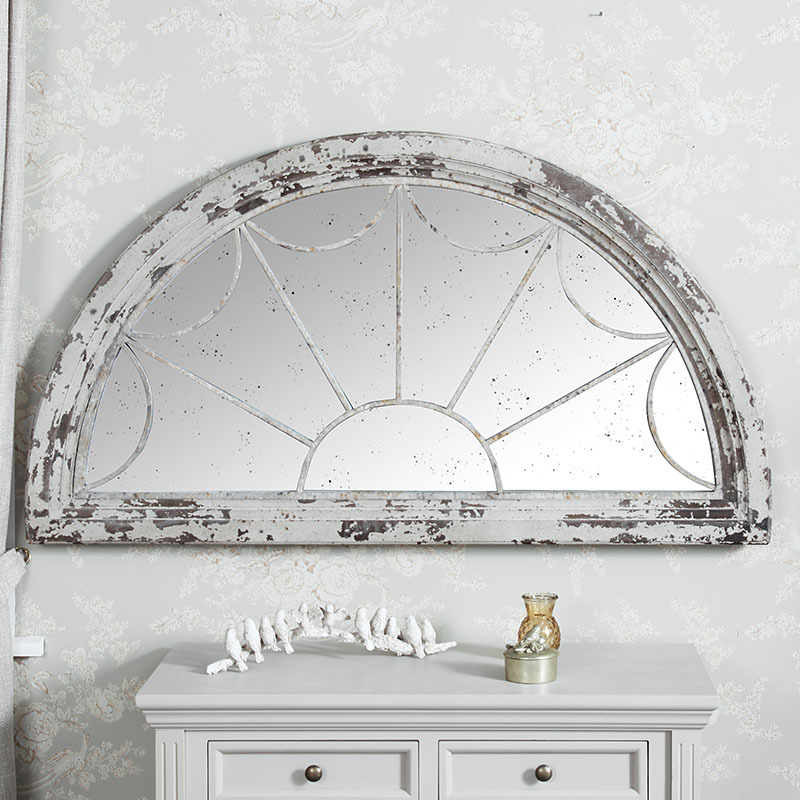 The mirror will impose a vintage Georgian feel as it sits majestically on your wall becoming the focal point in which ever room you wish to showcase it in.